Attack on Titan: U.S. Theatrical Release! For all you Japanese manga/anime lovers out there, we’re sure you’ve heard of the runaway hit, “Attack on Titan”! We’re also sure you know that the series has been turned into a live-action film! But…did you know that there will be special screenings playing across the United States starting later this month?? How cool is that! 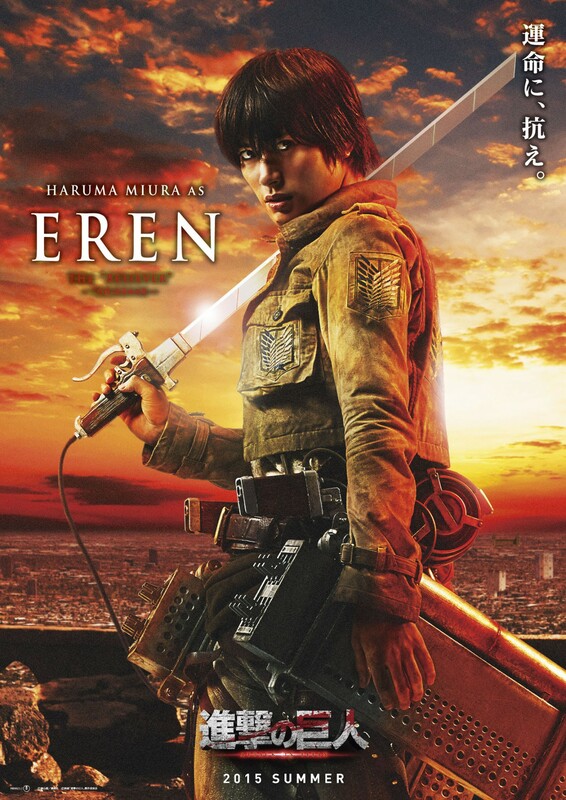 Cutie Haruma Miura was cast to play the male lead, Eren. You might remember his face from the hilarious J-Drama, “Last Cinderella”, which is available on Dramafever.com! We HIGHLY recommend it, in case you would like to “research” his acting skills before heading out to watch the movie! Check out the trailer for the Attack on Titan movie below! Be sure to visit the film’s official page for more info! Sign up for Funimation’s email list to get the most up to date alerts on the release dates and venues!